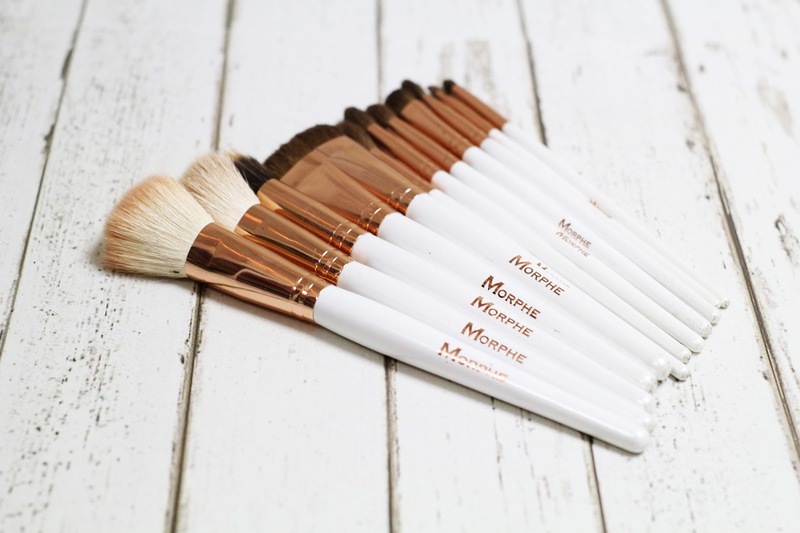 A couple of weeks back I saw that Morphe had launched a new set of brushes and because I am an impulse buyer, I decided to get them. They were not at all expensive and its Morphe, so you know their products are going to be good. 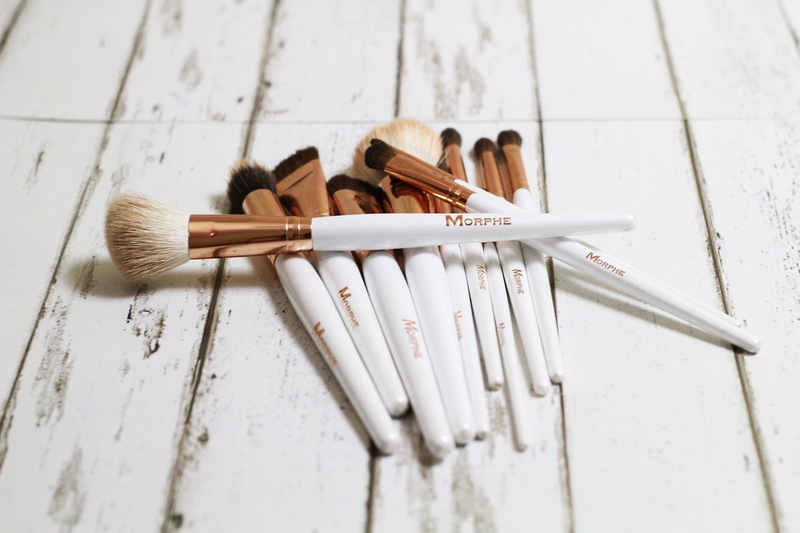 I did make a post about a little Morphe travel brush set that I had and how I really liked them, but it didn't come with a lot of brushes. It came with two face brushes and like three eye brushes. Unlike this one, which comes with all you need! 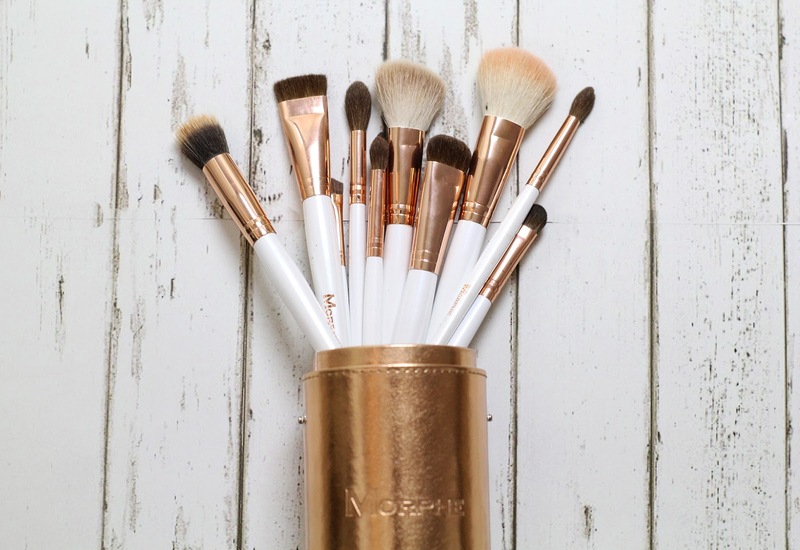 In total, this set comes with 12 brushes and a travel case that is super cute! The six eye brushes are great! 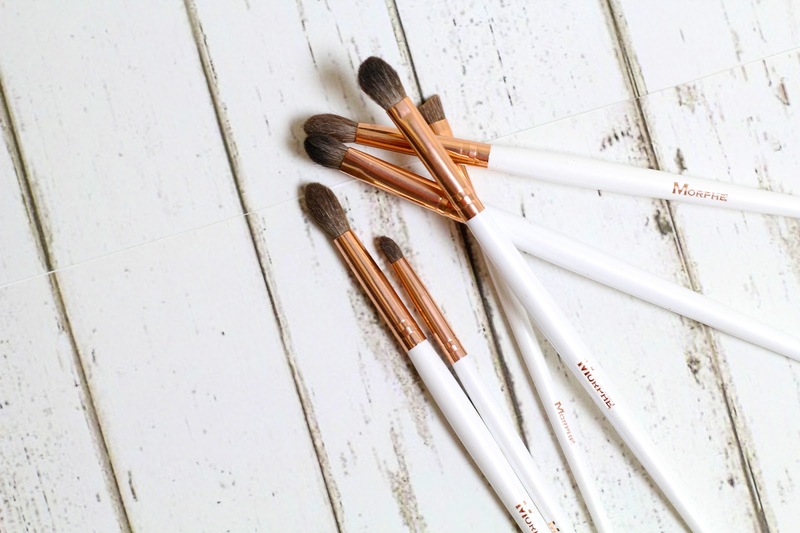 They are super soft and get the product on the eye well and blend like a dream. The face brushes are my fave. Not going to lie, they do shed a little bit (so did the small ones in the travel case I had), but its not something that really bothers me. Maybe I press too hard on them, but its not that big of a deal. They work really well. 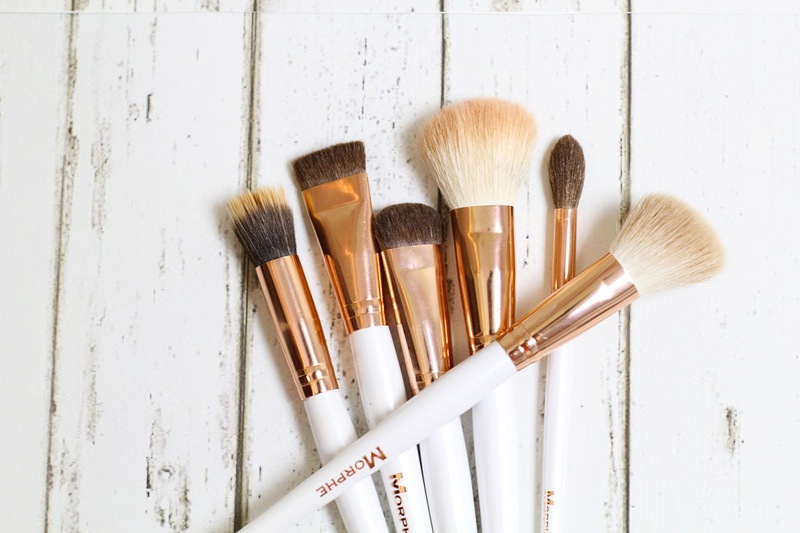 The one that I really like in this set is the highlighter brush ( looks like a bigger blending brush in the picture above). I have never really owned a highlighter brush and I really like this one. I use a Becca highlighter and the brush picks it up really nice and it doesn't really over do it. 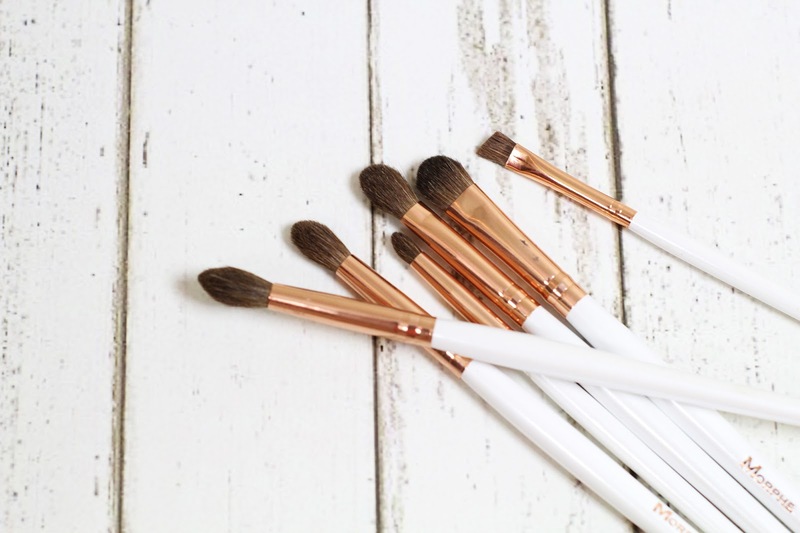 But anyways, if you are looking for a cheap pair of brushes I really recommend these ones. I believe that they are currently sold out, but don't stop checking the Morphe website. They update their products quite freaquently. Also, there are really good discount codes available for a % off of your purchase. The one I use is MANNYMUA. Hi! I'm Maria and welcome to my blog. This is a little space where you can find all things beauty, lifestyle, and baby. I hope you enjoy and thanks for stopping by! Little Room Tour | Video! DIY "Tierrita" Dessert | Video!